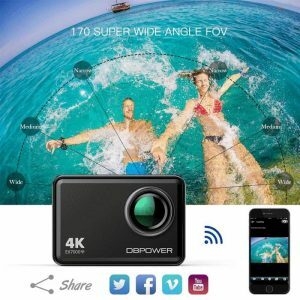 DBPOWER T2 4K Action Camera has Ultra HD 4K video recording with WiFi functionality and 2.4G wireless remote control with wrist band. You can capture stunning 4K 25fps/1080P 60fps video. DBPOWER T2 is an ideal action sports camera for daily use, as well as traveling and adventure sports recording. When you are surfing, diving, snorkeling, biking or driving. 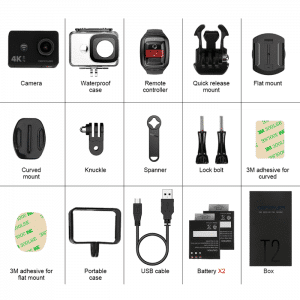 Mount it on the car when you are driving down a scenic road and record your adventure! Its the action cam for sports fanatics or anyone who wants to record stunning footage. 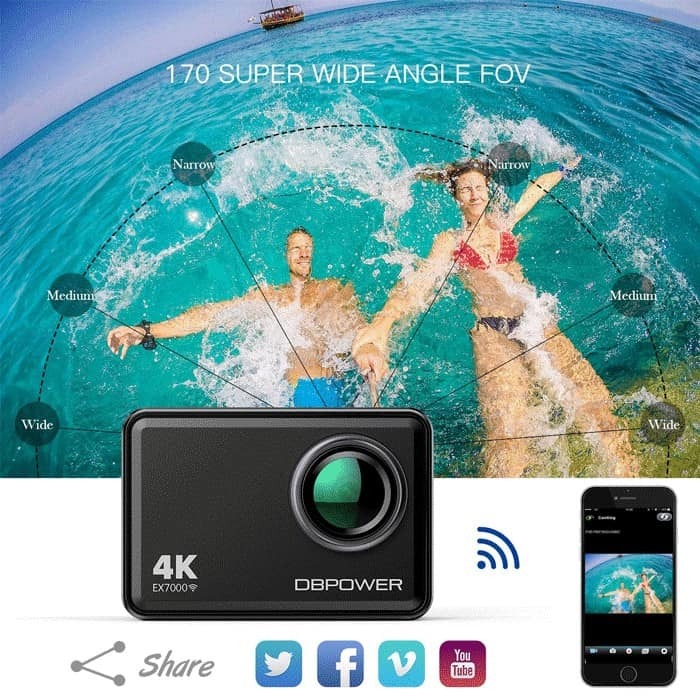 Everyone can use the DBPOWER T2 4K Action Camera to capture video and share the fun amongst family and friends. Enables you to self-capture in a more convenient way. It’s never been easier to share your story with the world. Why DBPOWER T2 4K Action Camera ? One of the rare makers to provided OTA Update Support for its camera firmware, so you are always sure to be on the latest and most advanced technology available. Also one of the first ever action cam to support Fast Charge. Real time review on the 2 inch LCD screen is super terrific. Take pictures of your desired one and record the exact moments. 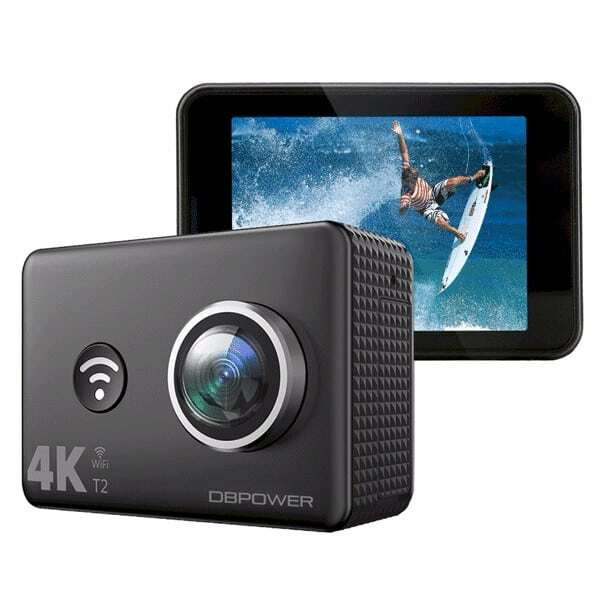 Loop recording, micro SD card supported maximum up to 32GB, HDMI output. 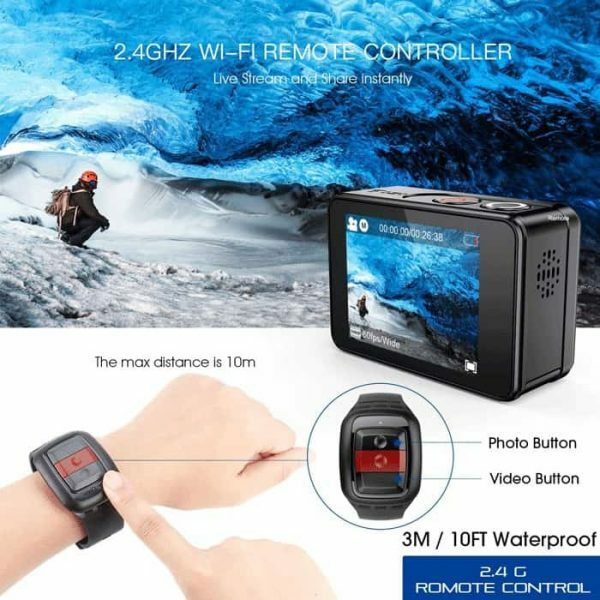 Playback the videos and photos on your sports camera and delete undesired ones. 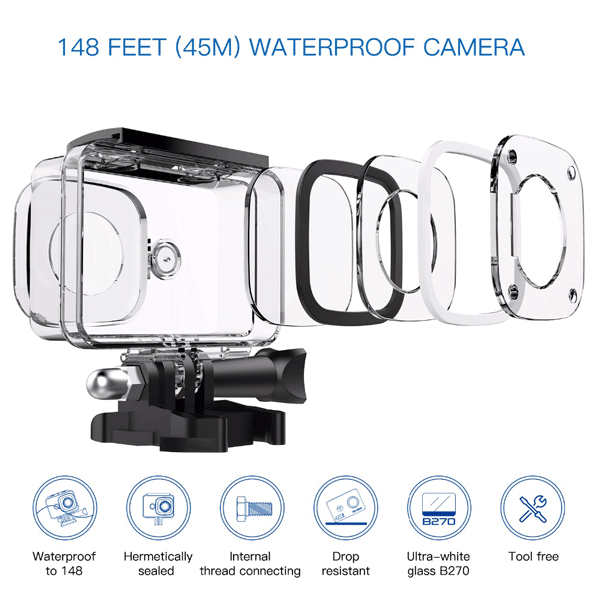 DBPOWER T2 4K Action Camera comes with a pretty waterproof case which supports for underwater sports up to 45M. 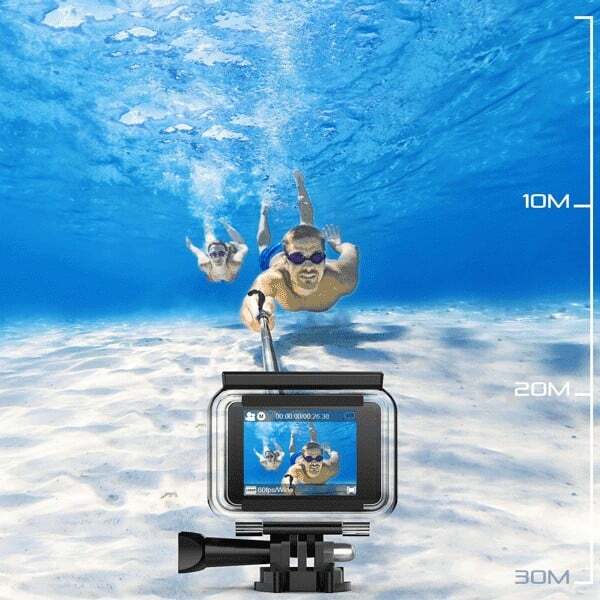 It helps you capture your every fantastic underwater sports moments like swimming or diving. 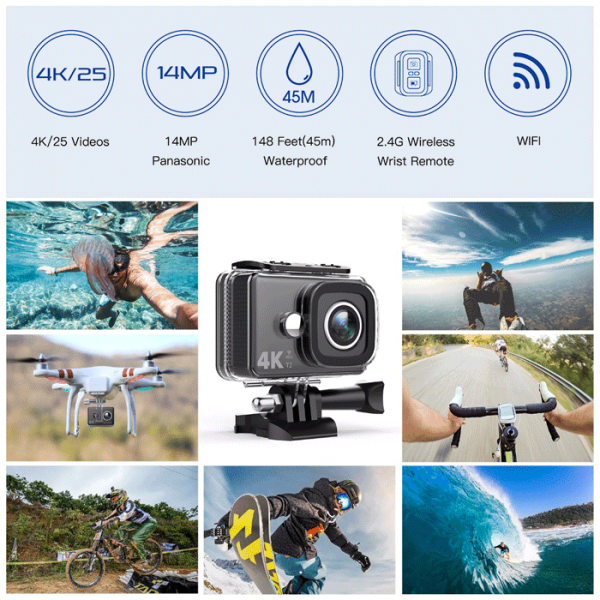 When you are cycling, gliding, zip-lining or skateboarding, shooting your photos or videos is easy. Press buttons on the remote. No more trouble – Mount the camera with the included accessories to any position, and catch your movement with the remote. Compatible With IOS Devices and Android Devices. Scan the QR Code On The Manual And Download The”iSmart Pro”APP. Easily Control The Camera And Manage The Photos & Videos On Your Phone. Save And Share Those Moments Anytime Anywhere.WiFi signal ranges up to 20 meters. Memory card: Micro SD Card of Class 10 is Highly Recommended, Maximum support 32G. The memory card should be formatted in the camera before the first time use. 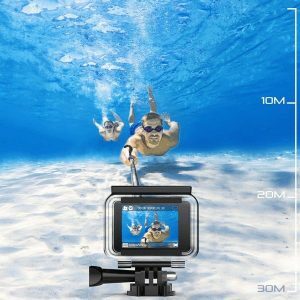 Very good action camera at very low price. Groot have very good service and friendly support staff. Definitely going to buy more from groot.